Belmar is a national model for mixed-use developments around the country. It is comprised of 80 shops, 20 restaurants, 300,000 square feet of office space and over 1,200 residences. It has been recognized in books, TED Talks and through a variety of industry awards as one of the preeminent examples of sustainable, smart growth projects in the country. Belmar transformed a decaying shopping mall into a thriving downtown for Lakewood, CO in 5 short years from the time Continuum began the purchase of Villa Italia Mall. Continuum bought the land occupied by Villa Italia Mall in 1999 and began construction on the 22 block mixed-use community in 2002. 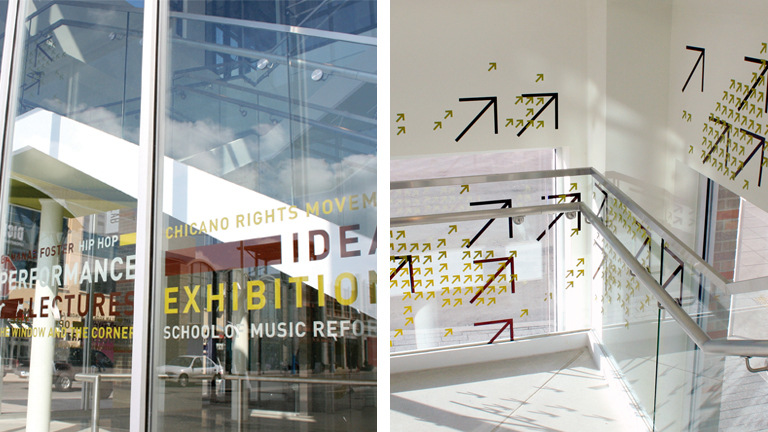 Phase I opened in 2004, ultimately leading to two million square feet of development including restaurants, boutiques, offices, residences, theaters, artist studios, parks and plazas. The land that Belmar occupies is part of Colorado’s history. 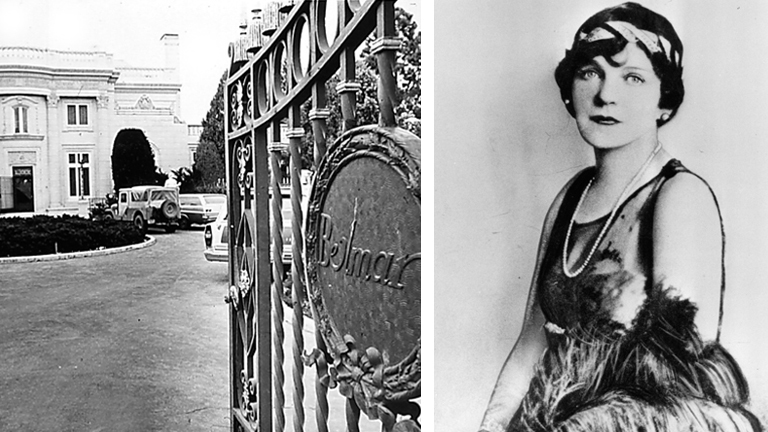 It was the site of May Bonfils-Stanton’s, heiress to the Denver Post newspaper fortune, Belmar Estate. In the early 1900’s, many of Denver’s well heeled families owned large properties in the foothills, west of town where they established spectacular recreational farms and ranches to get away from their in City homes. May built an exact replica of Marie Antoinette’s Petite Trianon Palace on her property. By the 1950’s and 1960’s however, the mountain towns became accessible and the large estates began to give way to Denver’s fast growing suburbs. In 1960, architect and developer Gerri Von Frellick leased some of the land from the Bonfils estate and began development on what would eventually become one of the earliest and most successful enclosed shopping malls in the Country. At over 500,000 square feet and with its distinctive Italianate design, Villa Italia immediately became one of the prime shopping destinations of the region. In fact, when it opened in 1965 it was one of the biggest enclosed shopping malls in the world. 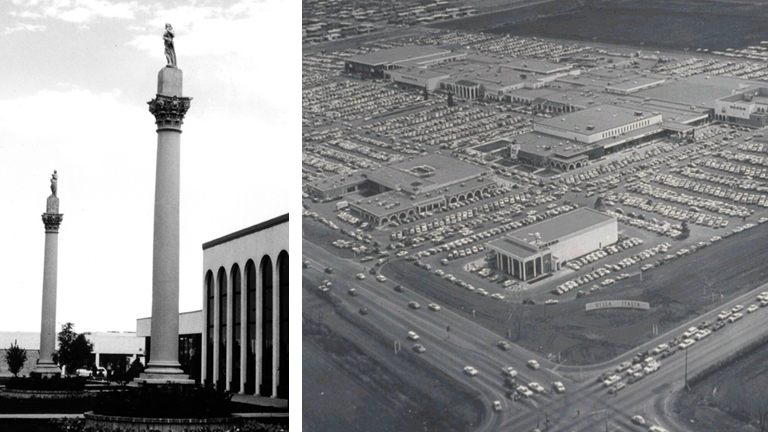 The City of Lakewood did not incorporate until 1969, 4 years after Villa Italia opened. The Mall was the symbolic center of the new City and its largest tax generator. But by the early 1990’s, Villa Italia had been outflanked by a series of new shopping centers built in the 1980’s and 1990’s. As Villa Italia’s decline continued the City opted to take matters into their own hands and began looking for a developer to help them imagine how “the Villa” might one day evolve into a real downtown. This process eventually led the City to Continuum Partners and a remarkable public-private partnership between Lakewood and Continuum was formed to bring the property a new life. Over a 10 year period of time, the deteriorating monolithic shopping mall surrounded by a single massive parking lot was transformed into a 22 city block downtown with over 50 new buildings laid out on a brand new network of streets and sidewalks which reconnect this important site to the surrounding neighborhoods. In the process, Belmar transformed the 100 acres at the intersection of Alameda and Wadsworth from the City’s highest crime report property to the highest value residential neighborhood in the County. Belmar, energized and transformed Lakewood’s image by attracting major office tenants like the advertising firm Omnicom and $ 1,000,000.00 plus condominiums. Retailers like Whole Foods, Target, Sur La Table, DSW and Victoria’s Secret further enhance the area’s appeal. This lively confluence of commerce, quality of life and ecological stewardship is proof that when high-quality neighborhood design is coupled with visionary city leadership, the result can be extraordinary. Belmar continues to grow today. Currently under construction are a new, extended stay hotel, the Hyatt House Belmar and five new residential projects. Future plans include another major office building and even more residential. Check out the documentary about the history of Belmar here.